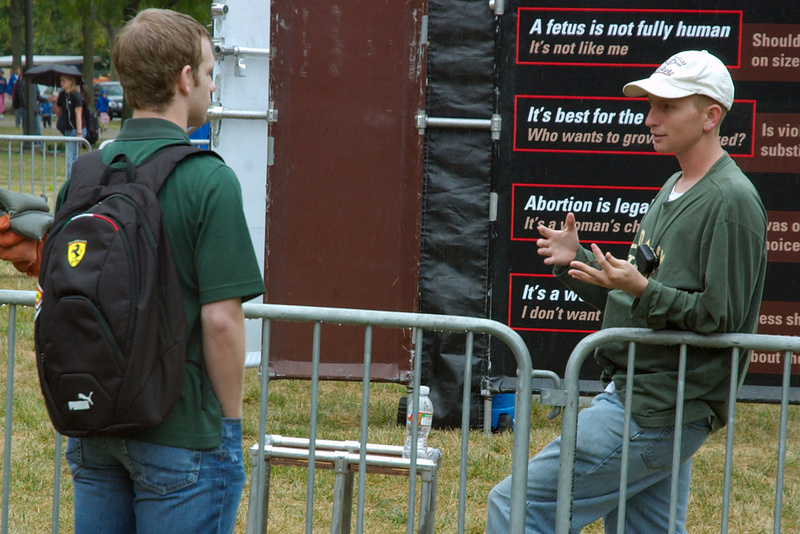 Jon Wagner has spent hundreds of hours engaging college students in dialogue on abortion. He's eager to gently challenge the pro-choice advocate to recognize the value of the unborn, but he also has a special passion for challenging Christians and pro-life advocates to not be silent. He gives practical tools and action steps to people who care about the unborn but aren't sure what they can do to make a difference. Jon has a particular passion for energizing local churches and helping them work together for truth and justice. This opportunity that JFA provides for churches to work together is a joy for Jon to watch, as it inspires those churches to partner together in other ways. From an early age, Jon was actively engaged in sharing the truth about abortion with his peers and even his teachers. While studying at Azusa Pacific University, Jon started the Defending Human Value Club at APU, which participated in Justice For All training events in Texas and California. Through his involvement with Justice For All, Jon grew as a gracious advocate for the unborn and became even more convinced of the need to devote his energy to stopping injustice and serving the weak. In 2007, Jon began a two-year internship with JFA, and less than two years later he made an indefinite commitment to help JFA empower pro-life advocates to be gracious and bold in stopping abortion. Jon facilitates JFA training events across the U.S. and is a frequent speaker to high schools, college clubs, and church groups. He and his wife Corinn were married in January 2014, and they are enjoying living in the Dallas area and raising their four children.